Next year, for the first time, we will train leaders of in-district schools as part of the BES Fellowship. In addition to recruiting Fellows to found fresh-start charter schools from California, to Texas, to Georgia, we’re looking for two BES Fellows to lead autonomous in-district schools in Massachusetts — one in Holyoke, and one in Springfield. BES has been scaling up and broadening the horizons of its flagship Fellowship program for nearly 20 years. We now train an average of 18 Fellows each year, and we’ve expanded our follow-on supports to ensure the leaders we train are successful at sustaining what they’ve built. We’ve also widened the pool of Fellowship candidates we recruit and the school models they implement, all while maintaining our rigorous selection process — we accept just 2-3% of applicants each year. Excellent schools are transformative. 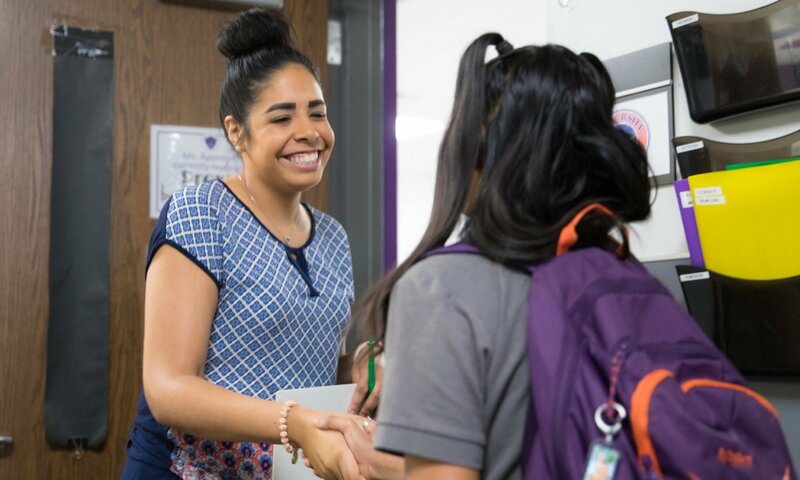 A school grounded from the start in proven strategies and led by an excellent leader can improve the lives of its students and create new possibilities for its community. We understand that there’s no single set of solutions that works everywhere. That’s why BES supports leaders to build schools that reflect and respond to the unique needs of their students and communities, all around the country. We’re proud to support the efforts of Springfield Empowerment Zone Partnership (SEZP) and Holyoke Public Schools by recruiting talented leaders with deep understanding of their communities to lead autonomous in-district schools launching in fall 2020. The Holyoke school will have similar autonomies. In Holyoke, we’re looking for a visionary and action-oriented leader with elementary or middle school experience to lead an elementary, middle, or K-8 school, depending on the candidate’s expertise and the district’s needs. More than 80% of Holyoke students are Latinx (predominantly Puerto Rican), 25% of students have an Individualized Education Program (IEP), and 77% of students come from economically disadvantaged families (MA Department of Elementary and Secondary Education). Accordingly, a successful leader will be able to develop and lead an inclusive school environment that meets the academic and social/emotional needs of all students. Working in partnership with school districts is not new for BES. For the past two years, we have been training principals in Holyoke, over the decades we have welcomed district leaders to various BES trainings, and several charter schools founded by BES Fellows have taken on turnaround work in partnership with their local districts. What is new, exciting, and full of promise is the inclusion of leaders for Holyoke and Springfield into the BES Fellowship. They’ll have the full cohort experience, visit exemplar schools across the country, hone their leadership skills, and complete extended residencies in high-performing urban schools under the tutelage of experienced leaders. BES equips leaders with the skills they need to effectively manage instruction, operations, and culture in high-performing, urban schools but leaves room for innovation based on the vision of the leader and the context of the community. Our end goal remains the same — but we’re exploring new ways of getting there. Take the next step with us.